The Red Hand of Ulster (Irish: Lámh Dhearg Uladh) is an Irish Gaelic symbol used in heraldry to denote the Irish province of Ulster. It is shown in two forms, as a dexter (right) hand (used as a symbol in Ulster) and a hand baring a blue or red sinister looking cross (used in the coats of arms of baronets). It is an open hand coloured red, with the fingers pointing upwards, the thumb held parallel to the fingers, and the palm facing forward. It is less commonly known as the Red Hand of O’Neill. The form in common use in Ulster today is an open right hand coloured red, with the fingers pointing upwards, the thumb held parallel to the fingers, and the palm facing forward. The form used on a canton or escutcheon within the coat of arms of a baronet of England, Ireland, Great Britain or the United Kingdom, is blazoned as follows: A hand sinister couped at the wrist extended in pale gules. Such baronets may also display the Red Hand of Ulster on its own as a badge, suspended by a ribbon below the shield of arms. Baronets of Nova Scotia, unlike other baronets, do not use the Red Hand of Ulster, but have their own badge showing the Saltire of St Andrew. It must also be noted that the left hand version of the symbol has been used by the Irish National Foresters, the Irish republican Irish Citizen Army and the Federated Workers Union of Ireland. It is generally accepted that this Irish Gaelic symbol originated in pagan times and was first associated with the mythical figure Labraid Lámh Dhearg or Labraid Lámderg (Labraid of the Red Hand) of the Fenian Cycle of Irish mythology. According to one myth, the kingdom of Ulster had at one time no rightful heir. Because of this it was agreed that a boat race should take place and that “whosoever’s hand is the first to touch the shore of Ireland, so shall he be made the king”. One potential king so desired the kingship that, upon seeing that he was losing the race, he cut off his hand and threw it to the shore—thus winning the kingship. The hand is most likely red to represent the fact that it would have been covered in blood. According to some versions of the story, the king who cut off his hand belonged to the Uí Néill clan, which apparently explains its association with them. Another variation of this story concludes that it was none other than Niall of the Nine Hostages who severed his own hand in order to win his crown from his brother. A different myth tells of two giants who engaged in battle. One had his hand cut off by the other, and a red imprint of the hand was left on the rocks. The Red Hand symbol is believed to have been used by the Uí Néill clan during its Nine Years’ War (1594–1603) against the spread of English control. The war cry Lámh Dhearg Abú! (Red Hand to victory!) was also associated with the Uí Néill. 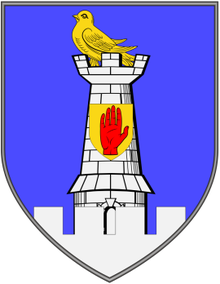 Coats of arms used by those whose surnames are of Uí Néill descent – Ó Donnghaile, Ó Cathain, Mac Aodha, Ó Dálaigh, Ó Máeilsheáchlainn and Ó Catharnaigh, to name just a few – all feature the Red Hand in some form, recalling their common descent. On the Ó Néill coat of arms featuring the Red Hand, the motto is Lámh Dhearg Éireann (Red Hand of Ireland). The arms of the chiefs of the Scottish Clan MacNeil (of Barra) contain the Red Hand; the clan has traditionally claimed descent from Niall of the Nine Hostages. Many other families have used the Red Hand to highlight an Ulster ancestry. The head of the Guinness family, the Earl of Iveagh, has three Red Hands on his arms granted as recently as 1891. After Walter de Burgh became Earl of Ulster in 1243 the de Burgh cross was combined with the Red Hand to create a flag that represented the Earldom of Ulster and later became the modern Flag of Ulster. 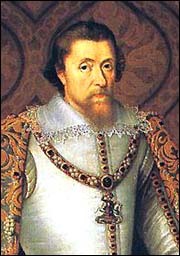 During the plantation of Ulster it was part of the arms of The Irish Society; sales of baronetcies originally helped fund the plantation so baronets of England and of Ireland and later baronets of Great Britain and of the United Kingdom were allowed to augment their arms with a “hand gules”. The Red Hand is present on a number of Ulster counties crests such as Antrim, Cavan, Londonderry, Monaghan and Tyrone. It was later included in the now abolished Government of Northern Ireland flag. It is also used by many other official and non-official organisations throughout the province of Ulster and Ireland. The Red Hand can be regarded as one of the very few cross-community symbols used in Northern Ireland. Due to its roots as a Gaelic Irish symbol, nationalist/republican groups have used (and continue to use) it – for example the republican Irish Citizen Army, the republican National Graves Association, Belfast, the Irish Transport and General Workers Union, the Ulster GAA association along with numerous GAA clubs in Ulster as well as Ulster Rugby and the Ulster Hockey Union. As the most identifiable symbol of Ulster, it is also used by Ulster’s unionists and loyalists, such as its use in the Ulster Covenant (1912) and in the arms of the Government of Northern Ireland (from 1922), the Ulster Volunteers and loyalist paramilitary groups such as the Ulster Volunteer Force and Ulster Defence Association among others.